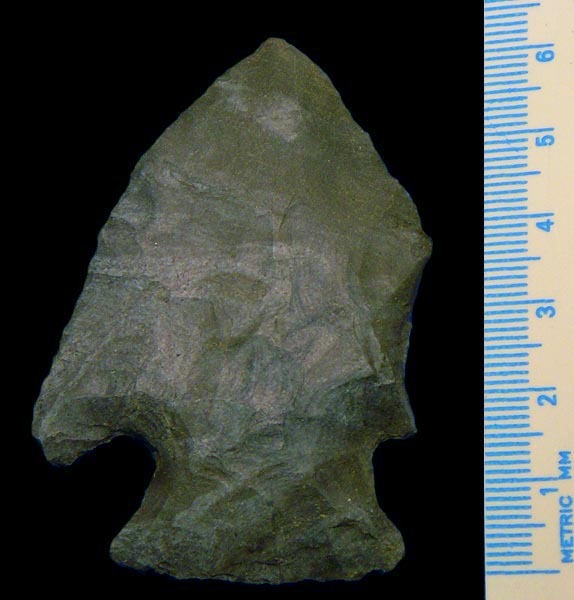 The Deister Site is a terrace level village site situated along Line Creek. 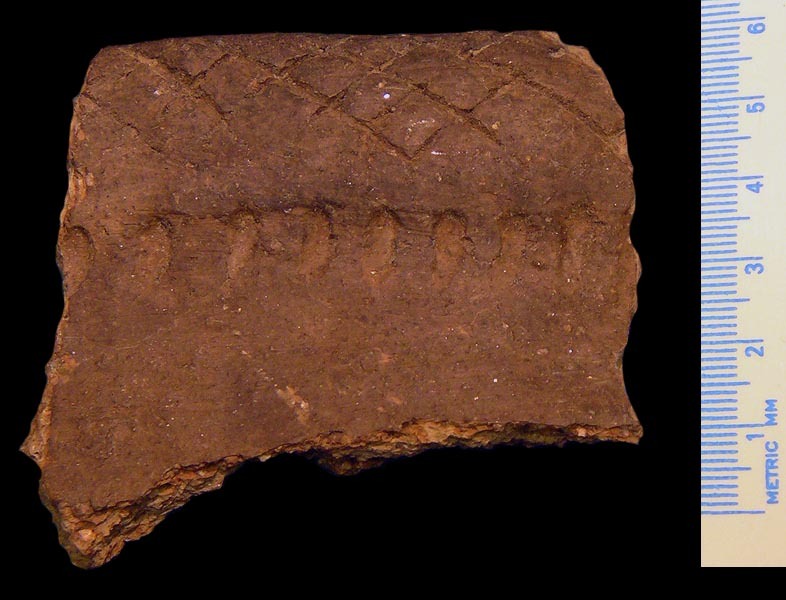 The pottery and stone tools from the site belong to the technological/artistic tradition that is described as "Hopewell." The Deister site was discovered by J. Mett Shippee and partially excavated during 1969 by John May. I visited the site during his excavation and he gladly discussed his excavation methods and discoveries. 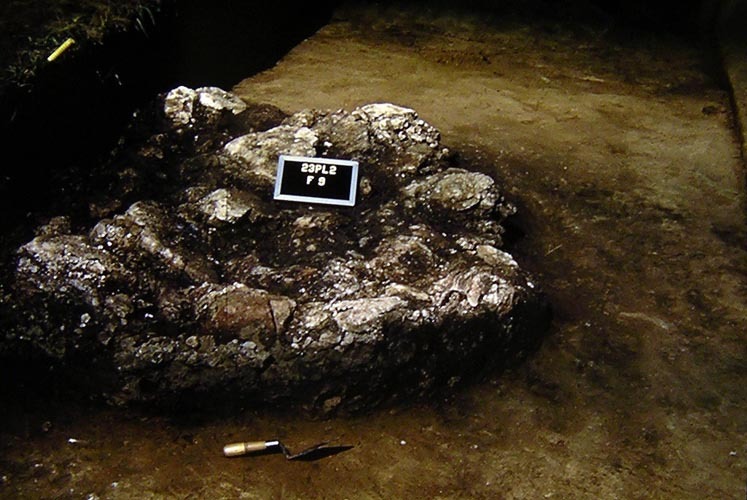 He had carefully excavated a large feature that he interpreted as a Middle Woodland Period house associated with 100+ kernels and 1 corn cob. J. Mett Shippee, instrumental in the protection of the site during his lifetime, walked the Deister site with me and discussed its significance. He was very proud of its preservation but worried about the future of the Renner Site. Uncalibrated radiocarbon date for the site include 70 BC +/- 100 (GAK-702), AD 430 +/- 85 (N-966), AD 270 +/-100 (N-967), AD 270 +/- 105 (N-968), AD 280 +/-105 (N0969), AD 660 +/-100 (N-1055), and AD 450 +/- 100 (N-1056). The site was placed on National Register of Historic Places during 1970. 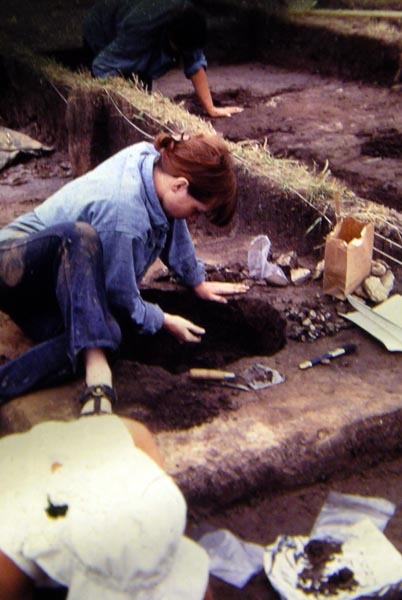 Kansas University student excavating a pit feature at the Deister Site. Kansas University excavation of feature 9. The museum at the Deister Site was wonderful and did not detract from the natural landscape. 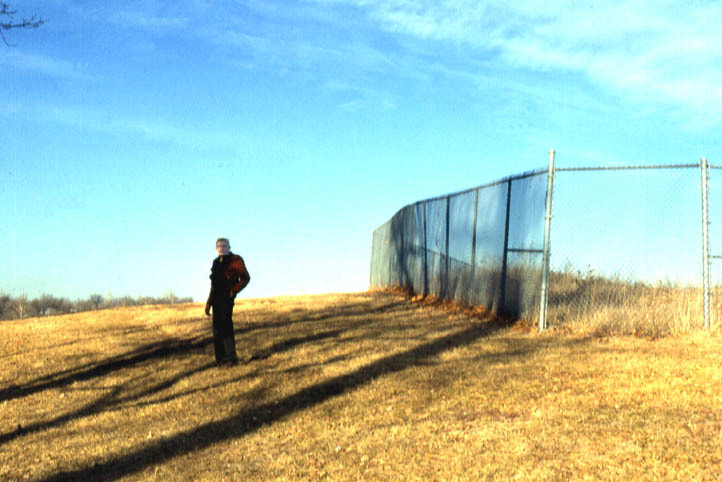 J. Mett Shippee standing at the edge of the fenced portion of the site. Deister site in pristine condition during 1977. Deister site excavation area surrounded by fence (in foreground) and museum (in background). 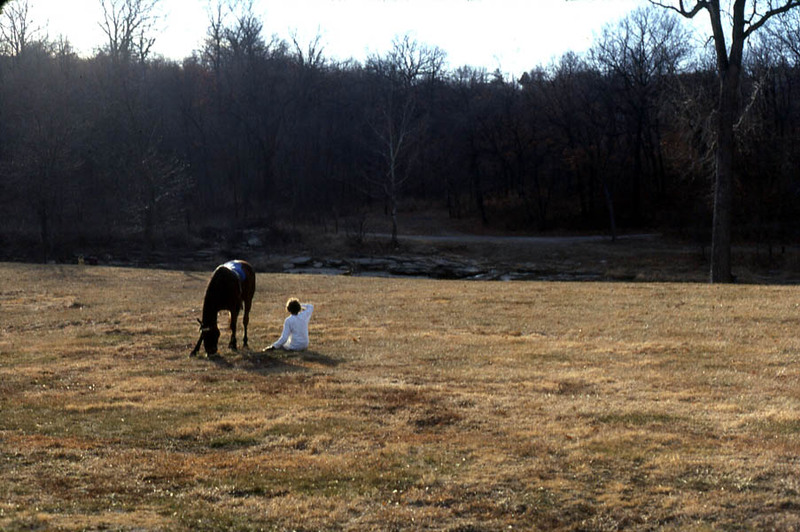 1979 Kansas City Hopewell. Hopewell Archaeology. Kent State University Press. 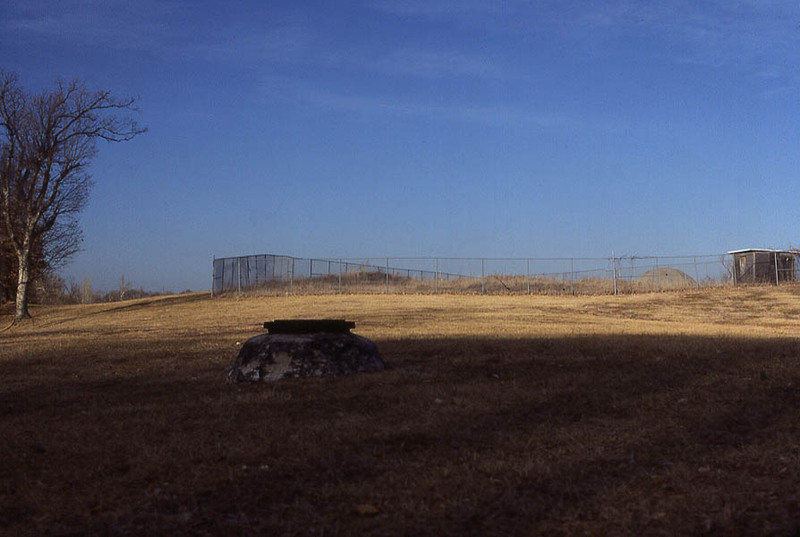 1974 Kansas City Hopewell Activities at the Deister Site. 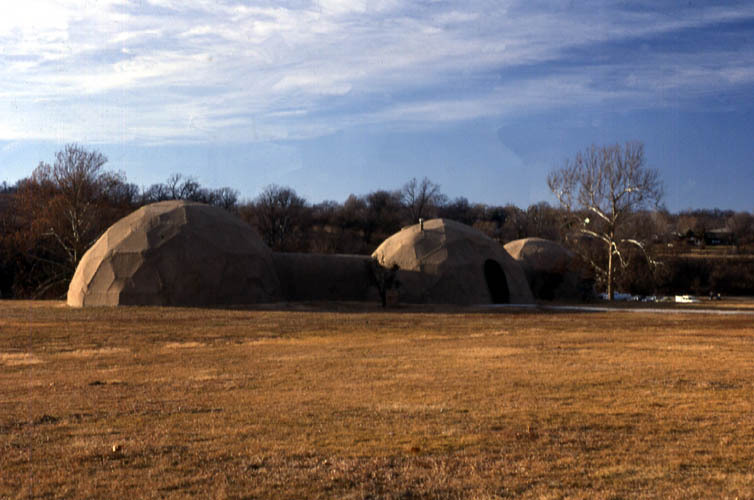 University of Kansas Museum of Anthropology Research Series 1. A warm thanks to Neathery Batsell Fuller for her advice on the content of the webpage. Thank you to the Kansas City Parks and Recreation Department for providing access to a portion of the study collection from the Deister Site.